How Much Is It To Drive This Porsche? There are thousands of people earning plenty of money promoting products online. For example, as reported on the website Business Insider, this one fashion blogger earns up to $15,000 each time she posts a photo wearing certain clothes on Instagram. You would need hundreds of thousands or a few million people following you in order to earn that kind of money. They get paid like an affiliate for recommending the products they are wearing. That’s not going to happen for most people. What if there was a public company though that had about 1,000 different products they were selling online and they were willing to pay you as a Distributor, but also allows you to build a team of people that you could get paid on as well? I’m going to prove to you as well that it will really work. How do I know? The company has to file a report with the SEC as a NASDAQ trading company and according to their 10K filing for 2016, which you can read at Yahoo Finance or on MarketWire they did $162 million in sales and paid out over $67 million in commissions to their Distributors. You can read it for yourself by clicking here. Simply scroll down to the section that says Revenues. 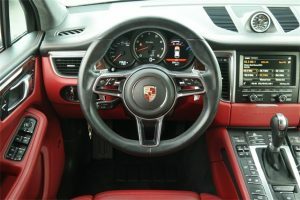 What most people don’t know is that if they earned just an extra $1,000 a month from an online business they could be using that business to purchase a high end vehicle like a Porsche. For example, If I can grab the vehicle I want for around $60,000 and put no money down, it should cost me around $997 a month to finance this vehicle with sales tax over 72 months. 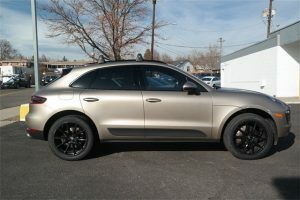 I could also drop that $1,000 a month into a strong life insurance policy using my CoolCarsForLife.com strategy and in ten years have a huge cash value life insurance policy that I can use to purchase additional vehicles. If I finance the vehicle over six years at about 3.49% I will need to make sure that this income is sustainable over the next six years to pay off the vehicle. I can always refinance it too, but I want to own it free and clear and it didn’t cost me anything personally other than some time and building another online income by leveraging a company and a small team of people. It costs just $25 to join the company as a Distributor and get a website from the company to promote their products and place your own personal orders. Once you do that you are going to build a series of business groups that I have called a Share Pod. A Share Pod is simply a group of two people going just three levels deep, which this company’s compensation plan allows you to do. The company allows you to earn on more than three levels, but my system only focuses on three levels or a team of 14 people. This is because you only need $100 in Qualifying Volume with this company to get paid on the first three levels. My system uses a very small group of just 2 people who build a team of 2 people who build a sales team of 2 people who all want to build a business together. Do you know 2 people? The biggest problem is that most people will not really get how this works or believe it. Even though the company is already paying out $67 million in commissions. If they can payout $67 million a year than you know it works. It’s really amazing though if you step back and study the system. By creating a small business that creates just $88.40 to $104 or more a month in additional income that is much easier than getting a few hundred thousand Instagram or Youtube followers like millions are trying to do. The graphic to the write shows if the products people are ordering are $100 in BV or Bonus Value. The income goes up on the same size Share Pod. This is actually something anyone can do because you only need to find just two other people who want to build a team with you and earn some extra money. And it’s only three levels deep for a total team size of just 14 Distributors. If you follow this system, the cost to be in business is pretty close to covered since you need to have $100 a month in QV or Qualifying Volume to get paid on these three levels. Best of all, you only need to have $100 a month in QV products orders for that first Share Pod, so once you build one, you can build another and another and your cost of being in business is covered! If you look at the small graphic you can see what it looks like and how it works. What’s cool about this system is that each time you build a Share Pod of 14 Distributors you are only personally bringing two new people into your overall business. Now obviously, $88.40 a month or $104 is a long way from $1,000 a month to fund a $60,000 Porsche. However, you want to look at building these Share Pods as though they are small rental properties. You start out by creating one pod, which shouldn’t take long to find two people who want to build a business with you and you motivate your two people to get two people until you have a team of 14 people ordering and selling products with the company each month. Once you have your first Share Pod built, you go and do it again and repeat the system. The goal is do this a total of 12 times! How much would you earn if you had 12 Share Pods that you built? It would be $88.40 a month x 12 or $1,060 a month or if your team is buying or selling $100 in BV a month it would jump up to $1,248 a month minus the product cost! You would have a team of 168 Distributors and growing. Here’s the process to getting started and building your first Share Pod. Join the company for $25 as a Distributor and get a free website. Order $125 a month in products from the company through your website to maximize commissions. Send people to your website to order products or become a Distributor and order products as a Distributor. Sign-up two other Distributors to your team who want to follow this same system. Does that sound difficult? Seriously. The company paid out $67 million in commissions to Distributors in 2016 according to their Annual Report. It’s like wondering if Amazon actually works. People obviously are ordering products from this company or they wouldn’t have done $167 million in sales. Follow this very simple process of Joining, Ordering, Telling Others and Getting Paid. Which is why I called this website ShareMerchant.com and I’m going to show you how to build a team and get paid to share. There are really just two things you need to know for this to work. What are the products you should order each month? I’m going to start with how the compensation plan works first, so that you can see my strategy for earning $12,000 a year with this to cover the cost of my $60,000 Porsche Macan Turbo over the next few years. Let’s say that I can find a total of two people who want to join my team and earn enough to make a car payment. They will be spending about $125 a month to build a business with product orders and creating their first Share Pod. It’s pretty much impossible to build any kind of a business in this world today for $125 a month, but it can be done here by leveraging this company. My goal is to build a total of 12 of the Share Pods of 14 Distributors described above and to use those funds for funding more cash value life insurance for myself, which his cash in the bank or a Porsche Macan for my driveway. The company has a strange way that it pays commissions on products. There are four different prices for each product. The company has a product that I use all the time for running Marathons and as part of my marathon training called Pollen Burst. You can buy two boxes of it for $114.95 currently as a Distributor Price. If you get on autoship they throw in free shipping for the product, which is what I do. They come in an individual packet with 30 to a box, so for 114.95 it’s costing you less than $2 a shot to use this product in a water bottle. You can build a business using this system with this one product for less than what people spend on Starbucks each day and drive a Porsche or other luxury vehicle. The two boxes has a Qualifying Volume of $106, which means that you would qualify to get paid on three levels of the compensation plan if you order this product each month. The Bonus Value though is $85, which is why I used it as an example in the Share Pod graphic. That’s what they pay the commissions on. So if everyone in your team ordered two boxes of this product that graphic shows what you would earn on three levels and 14 orders. You must have $100 a month in QV in order to get paid on three levels and they currently pay 8% on my Level 1, 8% on Level 2 and 7% on Level 3. Which means if we take $85 and multiply it by 8% and 7% the company will pay $6.80 per order for this product on Level 1 and 2 and $5.95 for orders of this product on Level 3. If the team averages $100 in BV depending on the products that they order the other graphic above shows $104 a month per Share Pod created. You are not limited to just getting two people and building a Share Pod. You can have as many Distributors on your first level as you want, but I just created a very simple system that anyone can do. I suggest people follow it because it’s something anyone can do. If you want to get paid on the orders on your fourth level you only need to bump up your QV from $100 to $150 a month, which again I am not focusing on in this article. 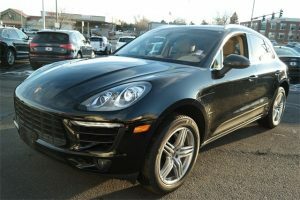 I want to build 12 Share Pods of 14 Distributors and earn an additional $1,000 a month to purchase a Porsche Macan. That’s why I created this website and gave all of this detail for anyone to follow. It’s pretty slick. Simply visit this link – https://coolcarguy.youngevity.com/ and you will be able to cruise through the products and read about the opportunity, etc. Simply click the Join Us tab at the top and it will take you to where you can join as a Distributor for just $25 or purchase a more expensive kit. If you buy the kit I earn more money, but you only need to purchase the $25 kit to join as a Distributor. Once you do that, you’ll get your website and then login and place your monthly autoship order. That’s it! You’re finished. You can modify your order each month and start directing people to this website to join your team. Simply tell them to join using your link instead of mine, so that they go underneath you. 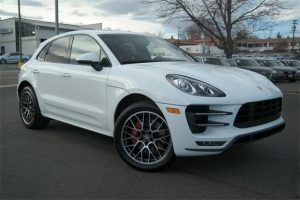 I’ll keep you updated via email once you are part of my team and share with you if I’m on track to get a Porsche Macan by leveraging this company. You can find my primary business at www.coolcarguy.com if you want more information about me and what it is that I do full-time.